I can’t think of a “Mario” game that I had less interest in than the idea of a Mario and Rabbids crossover when it was first rumoured, then confirmed without any further concrete information. On title and premise alone I was instantly turned off it. I can’t stand the Rabbids, see. Childish slapstick humour and genuinely ugly character design (because the "demented stupid" look is apparently funny) wasn’t going to be something that Mario and his friends would be able to save. This, of course, was all before E3 rolled around and we saw the game in action for the first time. 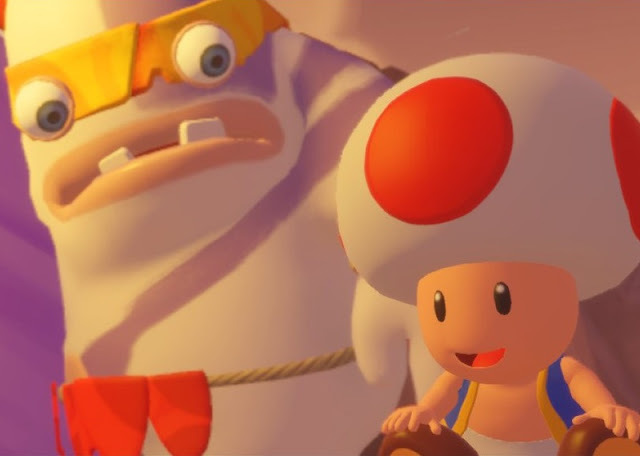 With the exception of DDNet contributor Trent P, who was, we all assumed, joking when he said that the Mario and Rabbids game would be one of the highlights of the year, none of the DDNet team had any expectations for this one whatsoever. So we were all sitting there on a group chat during the Ubisoft show, making fun of poor Trent for his unwavering faith in this game that none of us actually knew anything about. Then Ubisoft started to show bits of gameplay. As a group our mouths collectively dropped. “Is… is this bleeping XCOM?” One of us asked. “Oh my Lord what is this?” Asked another. The more we saw the more we realised that Trent had somehow called it. Somehow Trent knew that, yes, Mario + Rabbids was indeed one of the best games of the year. Not just on the Switch, but across all platforms. One gameplay trailer and we flipped completely. 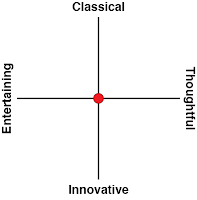 We now expected that surely it would play as well it looked. Well, it does. Trent absolutely nailed it. Perhaps he has a grandfather that works at Ubisoft or Nintendo or wherever that rumour that the game was actually good came from. 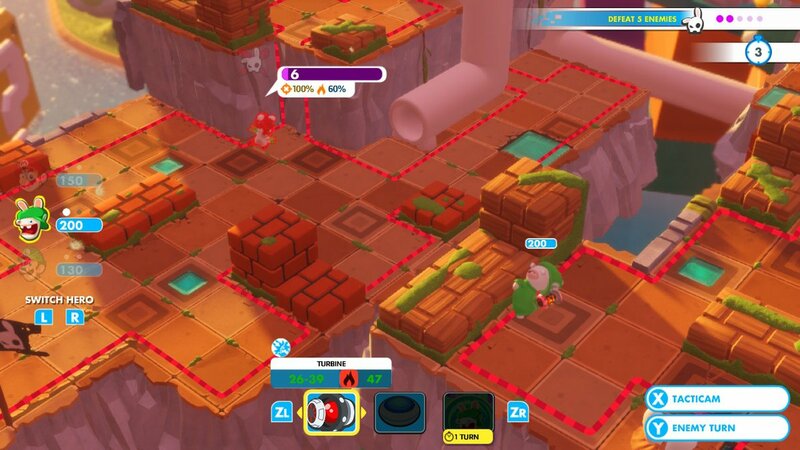 Mario + Rabbids is not exactly XCOM. It has the same basic model of XCOM, in that small groups of soldiers on each side skirmish against one another, making heavy use of cover and special abilities to control the battlefield and defeat enemies. But it’s much simpler, tactically, than XCOM. Battles are lighter, quicker, and over faster. Character development is nowhere near as complex. XCOM gives you all kinds of simulation elements outside of battle to get an advantage over the invading aliens. 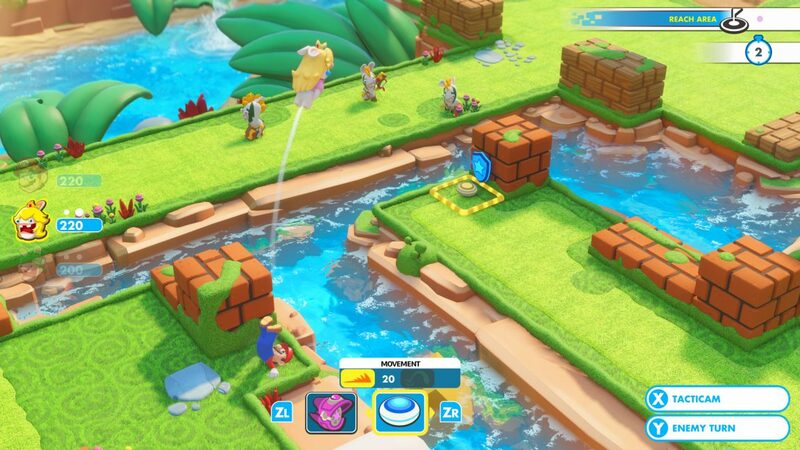 Mario + Rabbids gives you a 3D Mario World-like environment to explore and some basic puzzles leading to better equipment. But in trading in tactical and strategic depth, Mario + Rabbids picks up some other gameplay quirks that makes it every bit as enjoyable. It’s a far more fluid, mobile combat system, for example. Characters can throw one another around and get free damage in on the opponent if they are close enough to do a sliding attack as part of their movement in a turn. 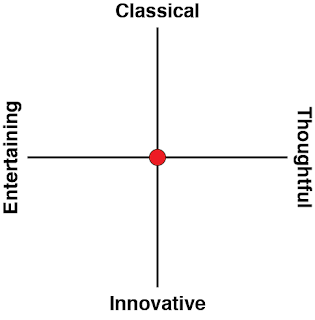 Additionally, getting a “perfect” rating for a level and the associated reward with that requires that you complete the level in a very few number of turns. All this means that it’s imperative to have characters making the most of their full movement range each turn, and taking full advantage of the cover and vantage points that each level allows. The creeping pace of an XCOM battle quickly starts to seem quite dull by comparison. The levels are so well designed, too. Each one offers a genuinely different challenge, and how you go about completing those levels is generally quite open; there’s no one right approach, and once you’ve got a handle of the fundamentals, it can be great fun to experiment around. Each character on your side has access to different weapons and skills, and you’re only able to take a certain number into battle with you, so balancing out the party to handle a broad range of different challenges and enemy types is a big part of the game’s challenge. This is particularly true of the boss battles, which can easily trounce players who are not alert – from the very first one. Mario + Rabbits is a deceptively difficult game. It never feels like it’ll be difficult, but then a level will start, you’ll make one mistake and one turn later one of your characters has lost three quarters of their health. The AI is predictable enough that it’s possible to game it, but enemies have high health and hit hard, so it can be very, very unforgiving. Still, I think people will happily learn to deal with that, since it’s generally quite the bright and happy charmer. The Mario-style visuals are bright and vibrant, and the cut scenes offer plenty of humour that sits on the right side of silly. The Rabbids are even relatively restrained this time around, and even in those moments where they do start to grate, you’ll be zapping them with power guns a few seconds later. Rabbids is a bloodless game. The narrative, ridiculous as it is, has the demented bunnies invading the Mario kingdom after a pair of goggles turns them even more "crazy" and destructive than normal. The “guns” that the heroes carry into battle cures the bunnies of this, and reverts them to a bunch of relatively helpful and placid creatures again. So “kill” one of them and they simply disappear off screen. Somehow, Ubisoft managed to give Mario and his gang guns and yet still retain their innocence. Mario and his friends do this across four different worlds, and within that more than enough battles to last plenty of very solid play sessions. Outside of the main quest there’s some basic multiplayer modes, which are a little thin to be lasting, and not much else. But that’s okay; I’d much rather the carefully constructed levels and design of what’s in here than Ubisoft compromising on the quality of the game to give us content for the sake of it. Finishing Mario + Rabbids left me satisfied, but not exhausted, and as much as I like what Ubisoft’s doing at the moment with a lot of properties, that’s a rare moment of restraint from the studio infamous for throwing pointless open worlds and endless nonsense treasure hunts at players. 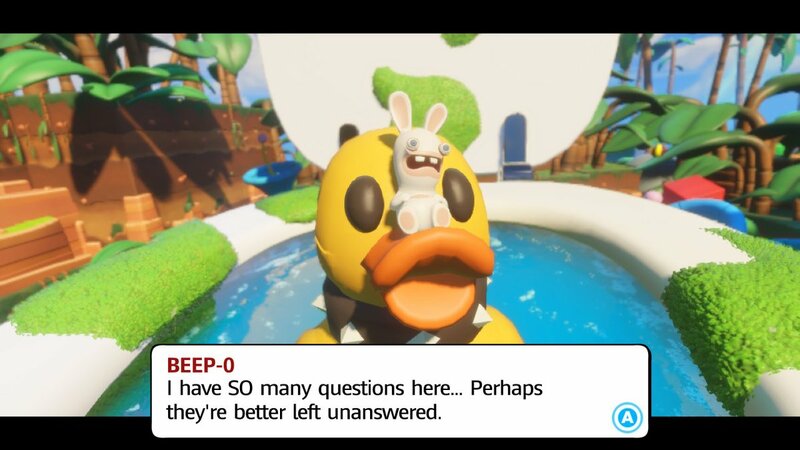 The one thing I didn’t appreciate about Mario + Rabbids is the backtracking. In the early going of the game there were all kinds of areas that were locked off because you didn’t have the ability to push blocks around, and so on. I don’t like this approach to design. Forcing people to backtrack by arbitrarily blocking areas off is a cheap way to pad out the game, and, really, an unnecessary way to break up the otherwise excellent pacing of the overall game. Mario + Rabbids could have been so much worse than this, but somehow Ubisoft’s really done something special with it. And, as one of the rare cases where Nintendo has loaned its most precious property out to a third party, Ubisoft has done something that, I hope, Nintendo itself will be proud of. I don’t think anyone would have looked at the Mario IP and thought that it would suit a fast-paced XCOM clone. Or the Rabbids, for that matter. But that’s the benefit of having another, creative, company look at a franchise with a fresh set of eyes; we get a new look at something, and the result has been something quite ingenious.